The Aga Khan Rural Support Programme (AKRSP) is an institution of the Aga Khan Development Network (AKDN). Established by the Aga Khan Foundation in 1982, AKRSP has been working in Federally Administered Gilgit Baltistan and district Chitral of Khyber Pakhtunkhwa in the field of integrated rural development with the mission to promote inclusive human development and eradicate extreme poverty. We are looking for a suitable and competent candidates to fill in the positions of Head Finance & Admin at our Gilgit (Core) office with occasional travel to Baltistan, Chitral and Islamabad. Reporting to the General Manager (GM) the Head Finance & Admin will be responsible for finance and admin related activities including effective implementation and review of administrative policies and procedures, development of short and long term budgetary speculations and ensure financial control. At least 10 years of progressive experience in finance and accounting towards leading the finance function at a reputable institution in development sector with capacity to take the organization to a higher level of efficient financial management and with familiarity of computerized accounting systems would be required. Knowledge of donor grant processes, procedures, and auditing requirements would be desirable. Supervising the administration staff for annual fixed assets staff counts, physical verification of project assets and proper issues and handing over of project inventories and assets during and at completion of the projects. 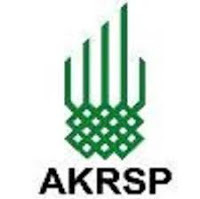 NOTE: AKRSP is an equal opportunity employer. Only online applications submitted through this website before the date line will be considered for further process. Women are encouraged to apply. Only short listed candidates will be contacted for test/interview. CA or ICMA Masters Degree with 7 years of relevant experience or MBA (Finance) with 10 years of relevant experience.